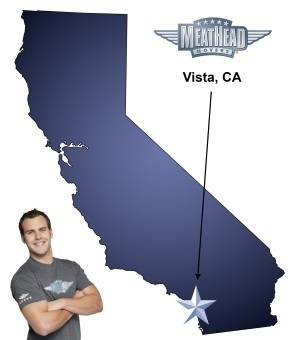 Meathead Movers is here to take care of the heavy lifting for you on your move to Vista. Our clean-cut student athlete movers are ready to get you safely settled into your new Vista home. By moving to Vista, you will experience the warmth and charm of a small town yet have access to all the amenities of a metropolitan community. To ensure a positive moving experience, you’ll need to choose Vista movers who are honest and trustworthy. With Meathead Movers you can eliminate the stress and worry that comes with moving, that way you can quickly begin to explore and experience all that Vista has to offer. Nestled among the rolling hills north of San Diego, Vista has a flourishing cultural arts program. Experience full-scale Broadway productions under the summer stars in the beautiful outdoor Moonlight Amphitheatre. During the winter, the historic AVO Playhouse showcases plays, comedies, and dramas. Vista offers activities for people of all ages who are relocating to the area. Youth activities include the Wave Waterpark, day camp,s and sports leagues. The Gloria E. McClellan Senior Center offers programs ranging from bridge to line dancing, tennis, Zumba and adult softball. In addition to 13 city parks, outdoor enthusiasts can take pleasure in Alta Vista Botanical Gardens where garden sculptures and art seamlessly integrate among rare plants. With its temperate climate, there are always plenty of opportunities to get out and explore the outdoors. Vista is also famous for its strawberries and was once known as the Strawberry Capital of the World. The open-air Antique Gas and Steam Engine Museum is also an entertaining stop to enjoy. A weekly farmers market, fine dining, and Frisbee golf are also great entertainment options. With the ocean only seven miles away, sun and surf are easily accessible. There are plenty of sights to see throughout the year in Vista. Many homes are decorated by professional designers and offer self-guided tours. One of those homes is the historic Rancho Buena Vista Adobe which features interactive ghost walks in October. For those into the paranormal, Rancho Buena Vista Adobe offers live electronic voice phenomena and dowsing rod sessions. In the wintertime, you should stop by to see the Vista Winterfest Celebration. If you are considering a move to this beautiful town, you should choose Meathead Movers. When you rely on Meathead Movers as your Vista movers of choice, you will have peace of mind knowing you are getting a professional moving company. Our moving company specializes in local, long-distance, and commercial moves to, from, and within Vista. We also provide reliable packing, storage, on-site relocations, and our distinctive moving concierge service, which connects you with local service providers. All our student-athlete movers are thoroughly screened and trained before their first move. With branches not just in Vista, but all throughout California, we are your one-stop resource for all your moving needs, no matter where your California move takes you. Moving to Vista? Here are some helpful resources. Every interaction we had with an employee of the company was handled professionally. The movers called ahead of time to verify the time, what was needed for the move and to give us their contact information. They were very polite and personable. They really made the moving experience pleasant. I would definitely use Meathead Movers again and recommend them to everyone. VERY reliable. Generally very capable and energetic personnel throughout the organization. We had a particularly difficult move, that while it took longer than anticipated, was completed without issue or damage. This is the second move we have used Meathead movers and highly recommend them. You know ahead of time what your cost is going to be, which is a very secure feeling. I highly recommend them to anyone needing to move across town or across the state. The movers were amazing loading the truck in SLO. They worked quick and were friendly and accomodating. The delivery was very disappointing, though. Movers showed up an hour and twenty minutes late - and I had to call to know what was going on. They also broke pieces off my foot board for my bed, and a shelf. In the grand scheme of things, I am incredibly grateful for the service and their kindness. However, the unprofessionalism of being late without communication, plus the furniture damage, lost a few points.